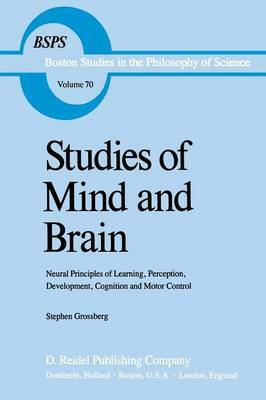 the mass of experimental data from current research in psychology and physiology, Grossberg proposes and develops a non-linear mathematics as a model for specific functions of mind and brain. He finds the classic approach to the mathematical modelling of mind and brain systematically inadequate. This inadequacy, he holds, arises from the attempt to describe adaptive systems in the mathematical language of 9 physics developed to describe "stationary", i. e. non-adaptive and non-evolving systems. In place of this linear mathematics, Grossberg develops his non-linear approach. His method is at once imaginative, rigorous, and philosophically significant: it is the thought experiment. It is here that the richness of his interdisciplinary mastery, and the power of his methods, constructions and proofs, reveal themselves. The method is what C. S. Peirce characterized as the method of abduction, or of hypothetical inference in theory construction: given the output of the system as a psychological phenomenon (e. g.